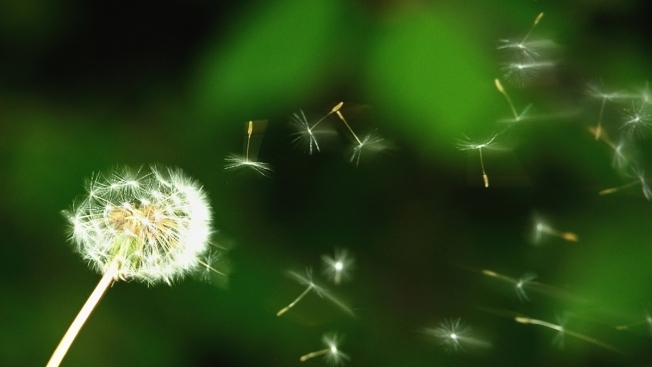 Friday, March 20 marked the first day of spring, and with spring comes allergy season. While people across much of the country are looking forward to milder spring temps following a winter that saw record cold and snow, experts warn the seasonal shift could bring bad news for allergy sufferers. Allergists say the majority of the country can expect higher pollen this year thanks to the bitter winter, leading to an uptick in allergy-related symptoms. A delayed pollination season nationwide has prompted the prediction. In the Midwest, trees that were supposed to pollinate during January to mid February, during sporadic periods of warmth, were just starting that process in March, according to Warren Filley, a board-certified allergist/immunologist at Oklahoma Allergy and Asthma Clinic. The result, Filley said, is an increase in pollen being released at once. A similar trend is being seen in the snow-battered Northeast. First, make sure that you take you take your allergy medication before your symptoms start. As Filley put it, "There’s an Oklahoma saying, ‘Don’t close the barn door after the horse is gone." Avoid being outside during peak hours of pollen — from 5 a.m. to 11 a.m., and a second surge after 4 p.m. — recommends Donald Dvorin, a board-certified allergist and pollen counter from the National Allergy Bureau and partner at the Asthma Center. When in the car, make sure to turn your air conditioner on and avoid rolling down your windows, in order to allow for better ventilation. Cabin filters should be maintained to reduce exposure. Take your shoes off before you go into your house, to make sure you don’t track pollen in. After you come inside, make sure to wash your clothes and take a shower. Wash your hair, too, as it can hold a lot of pollen, according to Dr. Jim Sublett of president of American Association. Let someone who is not allergic to pollen vacuum the house, and let the dust settle for 30 minutes before coming back into the house, as Filley warns. When mowing the lawn or working in the garden, wear a mask, gloves, and goggles. Try to avoid gardening on windy days. To track pollen levels in your area click here.